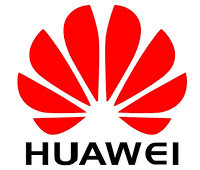 "Huawei ruling: bad news for SEPs?" was an IP Finance guest post from Colm Ahern (Elzaburu) on the Court of Justice of the European Union (CJEU) ruling in Case C-170/13 Huawei v ZTE, in which the CJEU clarified the law relating to the enforcement of standard-essential patents. Our friends in the field of competition law have also been interested in this decision, as the Editorial in the latest issue of the Journal of European Competition Law & Practice (JECLP) shows. Nicholas Banasevic's piece, "The Implications of the Court of Justice's Huawei/ZTE Judgment", can be found in JECLP) issue 7 at pages 463-464 (extract available here).